This entry was posted in Deafness and tagged amplification, background noises, behind the ear hearing aids, connecting tube, ear canal, ear drum, earmold, external sound sources, main shell, programmable hearing aids on March 20, 2012 by alwin. When there is an uneven damage to the inner ear and hearing is not entirely lost, you may have nerve deafness. Loss of sensitivity to various tones, particularly high-pitched ones, may be experienced if you suffer from thus type of hearing loss. 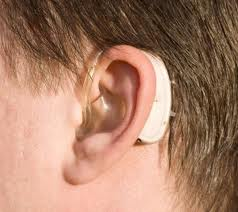 Nerve deafness makes the normal hearing zone a lot narrowed. This is usually manifested by the difficulty of patients to distinguish the consonant sounds with high tones. The patient with nerve deafness has a hard time in hearing words if there is a noise I the background. This entry was posted in Deafness and tagged nerve deafness, points on nerve deafness on January 16, 2012 by Mian Ong.